How organisations that currently undertake voting processes using paper, can easily transition their voters to internet voting. 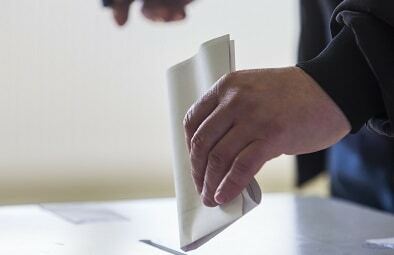 Paper voting inherently means that the voter has either been handed a ballot (voting in person) or has been sent a paper ballot pack in the post. UK Engage’s General Manager, Any Tye, takes a look at the process involved in these methods and explores how it can be simplified using internet voting. Voting in person usually takes place at a polling station, kiosk or booth or when the attendee has been invited to attend a meeting, such as an AGM, EGM or SGM. Individuals who vote this way will have been through a registration process or authenticated by some means, before being handed the ballot paper to vote in person. For AGMs, internet voting can be used to vote before the AGM (if the election rules allow), and to appoint a proxy. The main benefit of this is that the voter doesn’t have to spend time travelling to the location in order to cast their vote. A vote can be cast anywhere, at any time. Internet voting is also an extremely efficient way of voting. It can be secure (depending on the system), accessible (done via a desktop, laptop, tablet or phone), and quick. Voters may still wish to attend, especially if the meeting will deliver content relating to other matters that are important to voters. 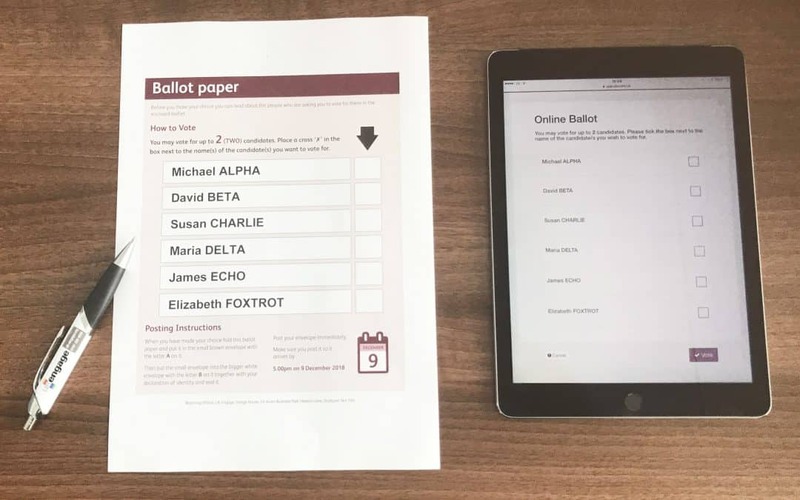 For those looking to transition from a paper-based system to internet voting, it’s often easier to start with a trial, combining both methods at once. In this scenario, voters would be able to choose whether to vote via the internet or by paper. For this to work, duplication checks are needed to ensure voters do not vote twice (on paper and via the internet), this is referred to as the ‘marked register’. Internet voting can also begin in advance of the meeting date to allow ‘early voting’, this can be communicated to the voters sometime before the meeting is due. This method of informing voters of the election and allowing them the chance to choose their preferred voting method, removes barriers to voting. An ‘opt-in’ to internet voting can be employed so that a clear preference is captured from voters, for future voting processes. Consideration would need to be given to any changes to the voting rules or constitution, in order to allow for various processes to be undertaken for internet voting. Whether votes are cast by a postal ballot or by internet voting, the scrutineer working on your behalf is reliant or the data provided to ensure that voting packs are delivered successfully to the recipient. With any internet voting process where information is delivered via email, it is to be expected that there will be email ‘bounce backs’ (where the email does not reach the recipient). This can occur for a variety of reasons i.e. the email address is not correct or inboxes are full. If you are working with a scrutineer that is experienced in this field, you can discuss ways to alleviate the likelihood of this. 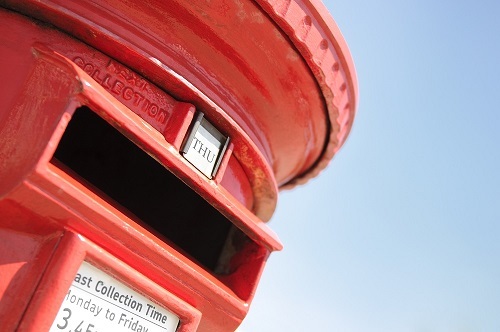 In the instance of an email bounce, your scrutineer will be able to provide a ‘back-up’ service, whereby a postal alternative can be quickly dispatched, allowing the voter to make their voting choice by postal return or via internet voting. Again, this is dependent on an alternative postal address being provided with the data. 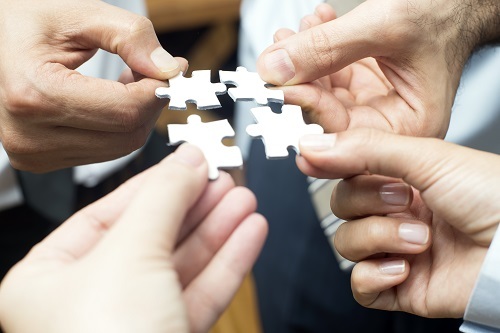 For any transition to succeed, member engagement is essential. Voters will transition if it is in their interest; convenience and ease of use can be key drivers. These benefits should be communicated to voters in advance of the voting period, giving them plenty of time to think about who to vote for (or which resolutions to vote for). Encouraging voters to make their choices via internet voting by explaining the benefits of security, speed and ease, will help with the transition. Voter engagement can be carried out with the help of your communications team and/or you scrutineer. Incorporate messages that will influence your voters to make the transition and factor them into any pre-election communications or any relevant communications your organisation is releasing. Sending messages via a number of channels can help extend the reach, embedding the transition messages in the mind of voters. Popular channels include direct mail, email, newsletters, social media, on-site banners and posters, and website posts. Some organisations also incentivise internet voting by giving a donation to charity, encouraging the transition from paper to internet voting. The time it takes to transition voters from a paper ballot mechanism to internet voting can vary. It is unlikely that all voters will move to internet voting when offered both voting channels for the first time. Therefore, medium long-term transitions may be inevitable, unless internet voting becomes the only voting method, if so then considerations regarding disenfranchising the voter may need to be taken into account. In our experience, in most cases, once voters use internet voting and experience the benefits first-hand, they don’t want to go back to paper voting.